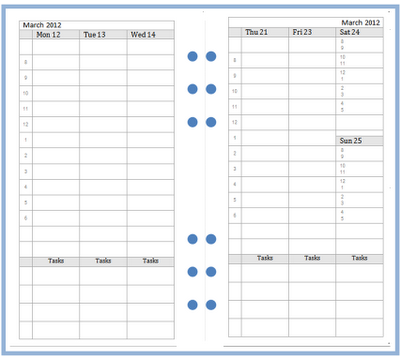 When Steve and I set about adapting our A5 diary layouts to Personal size, the one layout we missed out was the Vertical Week to View. We didn't think this would be a particularly usable layout in Personal size. However, that's just our view, so why not give it a try? We've done this a few ways for you. First, we have the usual A4-based set. Choose between the Word file and the PDF file. Print this double-sided. If you have a duplex printer, set it to flip on the short edge. If you don't then you'll have to print odd-numbered pages and then refeed to print the even-numbered pages on the reverse. You might have to experiment to find out how to refeed the paper. 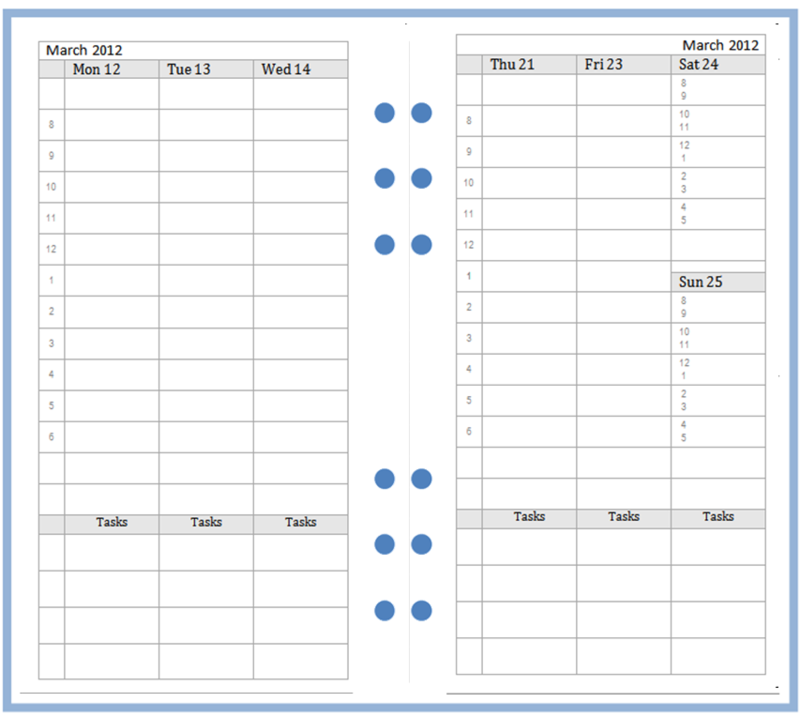 And for those of you who want to print directly onto Filofax Personal size plain paper, we have versions for you, too. Choose either the Word file or the PDF file. You can also roll your own using our source files. The A4-based version uses this Word file as the base document and this Excel file as the data source. The version that prints on Personal size paper uses this Word file and this Excel file. Pocket size inserts are on the way. I'll email you with a sample to test if you like. That would be great thanks Ray.